This Saturday heavyweight prospect David Price looks to extend his twelve fight unbeaten run when he takes on Sam Sexton at Aintree, Liverpool. Price was last seen taking just one round to destroy experienced British fighter John McDermott. He knocked McDermott down three times in round one, and in doing so he came one of the most hyped-up heavyweight prospects in Europe. 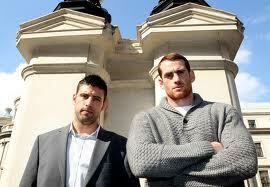 The fight we wanted to see next was David Price vs Tyson Fury, but that isn't going to happen anytime soon. Instead, we get Sam Sexton (15-2-0) as an opponent for Price, and although it isn't as enticing a match as Price vs Fury, it is still appealing. You can buy them from Frank Maloney's site, or from Seetickets.